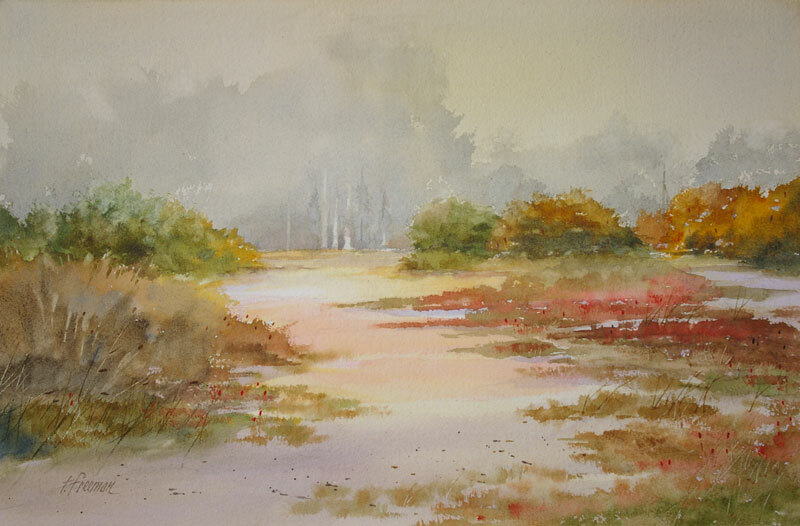 Thomas Freeman Original Watercolor Painting: "Foggy Carmel Morning"
Artists can’t resist fog – especially watercolor artists. So I raced down to a sandy area near the ocean with camera and sketchpad. The foggy sky is a mist of water and less pigment. The ice plant turns reddish in the Fall. Copyright © Thomas B. Freeman. All rights reserved.